I learned today that Hulu’s content providers have asked them to block the media center application Boxee from accessing their content. Honestly, what are the content providers of Hulu thinking? For those unfamiliar, Hulu.com is a joint-venture between NBC and News Corp. but has more content then just those. It’s unclear at this time which content provider has asked them to block Boxee, but blocking them is just plain stupid. While Boxee is in a way open-source, their Hulu application is closed, plus those who watch Hulu on Boxee still watch all the commercials one sees on their website. So to sum up, Boxee provides a way to get more people to legally watch TV shows, and people still watch their ads. Why would Hulu content providers not want to be Boxee? The more places the better! On a side-note, for those missing Hulu on Boxee, Jake Marsh has created an app to help ease the pain. Just add “rss://thejakemarsh.com/boxee/” to your sources from within the Boxee app itself (not via the website). Or visit http://tvrss.net/shows/ for free downloads of all your favorite shows without commercials. Thanks once again Hulu content providers! Edit: As of 2/20/09, Hulu will no longer be not be available on Boxee. Hopefully this is temporary. 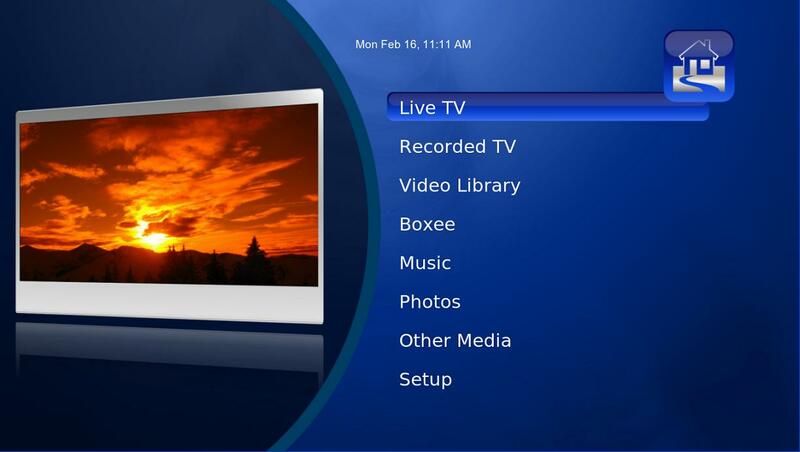 Also the next Boxee update is scheduled to be released March 24th. The March 5th release date was postponed partly due to the Hulu situation. 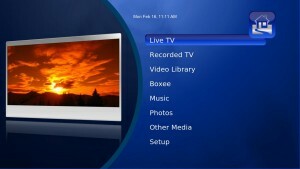 Edit (4/27/09): New versions of Boxee for Linux, Windows, Mac and Apple TV have been released with a new Hulu Feeds app. This replaces the previous Hulu application and allows those like to me once again to watch Hulu content on our living room TV. I talk a lot about my Boxee setup, so I thought I would do a write-up about each of the features I find most valuable from the Boxee application and explain in detail what each one is. For those unfamiliar, Boxee is a free cross-platform media center application based upon XBMC. Boxee can scan your network for shared (or hosted) video, music and photo files. It then searches the web for album art for each file and organizes them within Boxee by media type (TV Show, Movie, Music, Photos). The best part of Boxee is its ability to play Internet content all from within its own application. Instead of going to Hulu.com to watch the latest Battlestar Galactica, you can watch it from within Boxee and if you like the episode, you can recommend it to your other Boxee friends. Internet content current available in the Linux version of Boxee include Hulu, CBS, Joost, Adult Swim, Last.FM, Flickr and much more. Boxee is still in alpha testing but is available for Windows, Linux, Mac OS and Apple TV. I talk a lot about my MythTV (DVR) setup, so I thought I would do a write-up about each of the features I find most valuable from my MythTV system and explain in detail what each one is. This is my MythTV front screen (using the Blootube-wide UI Theme). I can watch Live TV (which I almost never do), browse my Recorded Programs, watch my DVD/Video files, run the Boxee Application, listen to Music, or look at my photo’s.